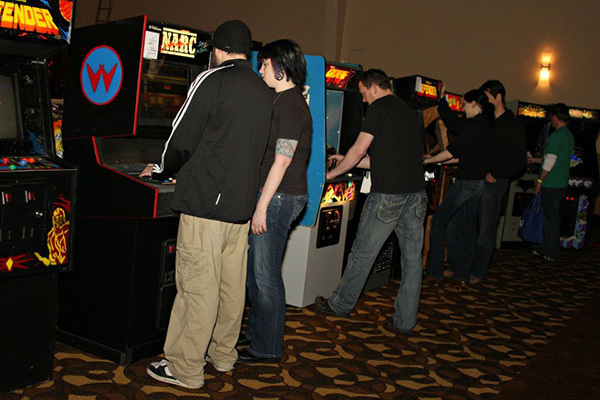 This weekend Horrible Night is poised to have our biggest group yet in attendance of the Louisville Arcade Expo. The expo features a family friendly environment where one ticket gets you free access to enjoy classic arcade games, pinball machines, and every console imaginable. There are also plenty of panels and guest speakers, cosplay competition, music, game tournaments, local artists, and a serious pinball tournament. Each year this is one of our favorite events. We will be on the show floor playing all the games and pins during the day on Saturday. Come and say hi if you see us. Unless I’m playing Joust Pinball and then you may want to wait until I’m done because I’m not responsible for my behavior when balls and birds are involved. If you’d like a taste of what to expect from the Louisville Arcade Expo, I’ll use that as an excuse to post a couple of videos we made of the event.